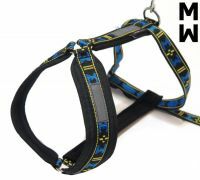 The harness only reaches about half way down the dog's body, which eliminates the pressure on the dog's hips. Closed cell padding around the neck, adjustable body strap, and reflective tape. 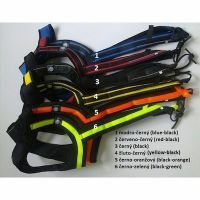 An excellent choice of harness for any dog with lower back problems! The material used for padding has been tested for wear, does not damage the dogs' hair, and is resistant to icing and moisture. 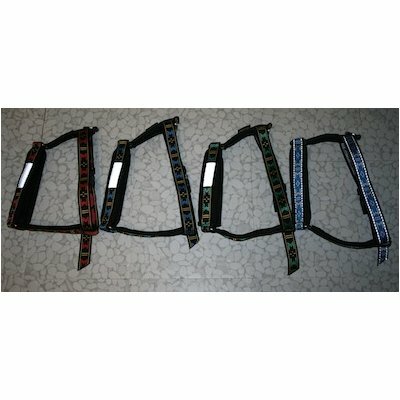 Harness ideal for canicross, bike-jörring, dog-scootering, ski-jörring and hiking. For the size, the lowest girth of neck is measured.